Confession, I love potatoes. Growing up, they were my absolute favorite food. Now I’m older, and my metabolism is different. 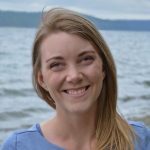 I’ve made the choice to live a low-carb lifestyle because I feel better when I do. But, sometimes I miss potatoes. 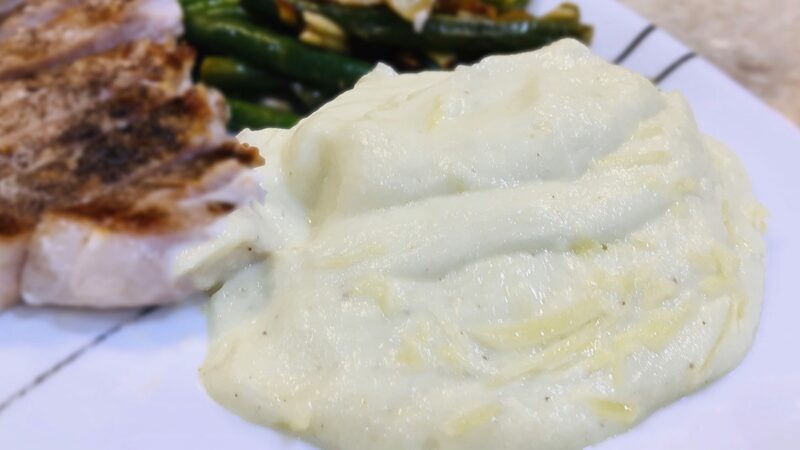 This recipe satisfies all my mashed potato cravings and then some. 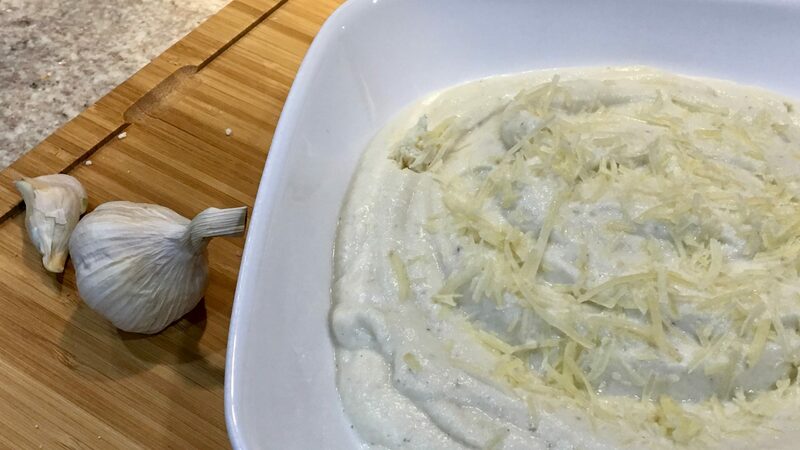 Not only is the pureed cauliflower recipe delicious; it’s super easy. 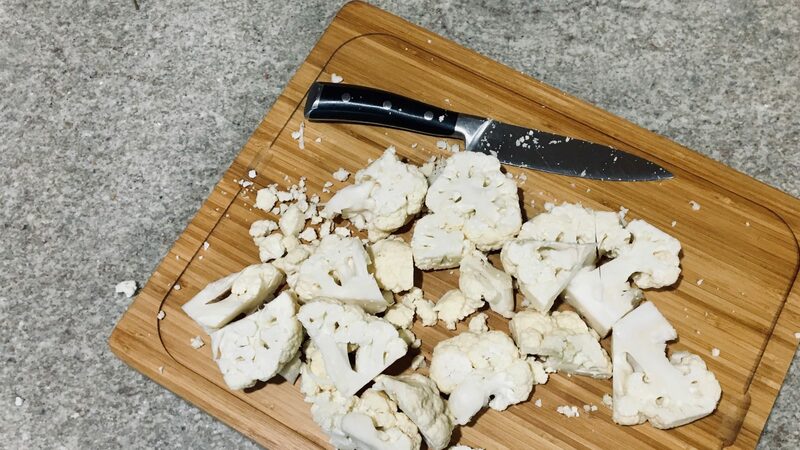 Cut up your cauliflower into chunks. They don’t have to be pretty because you’re going to puree them anyways. The smaller the chunks the faster they cook. Boil the cauliflower and garlic until the cauliflower is fork tender. 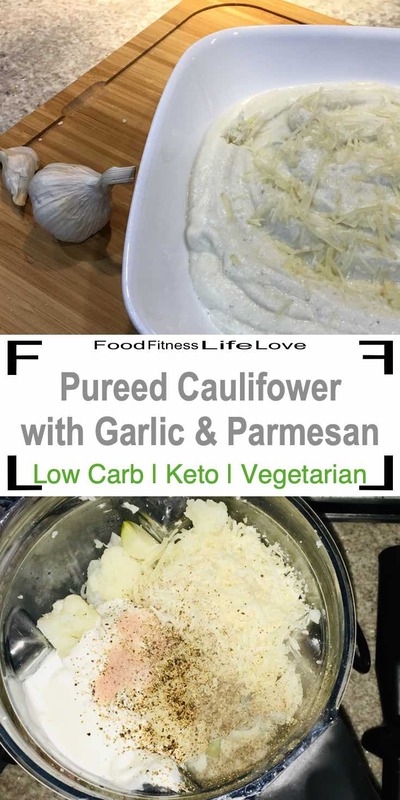 Add the cauliflower and garlic to the blender with the rest of your ingredients, and let the blender do its thing. Not only do I eat low-carb, I also tend toward Keto. So, my ingredients are intentionally high-fat. 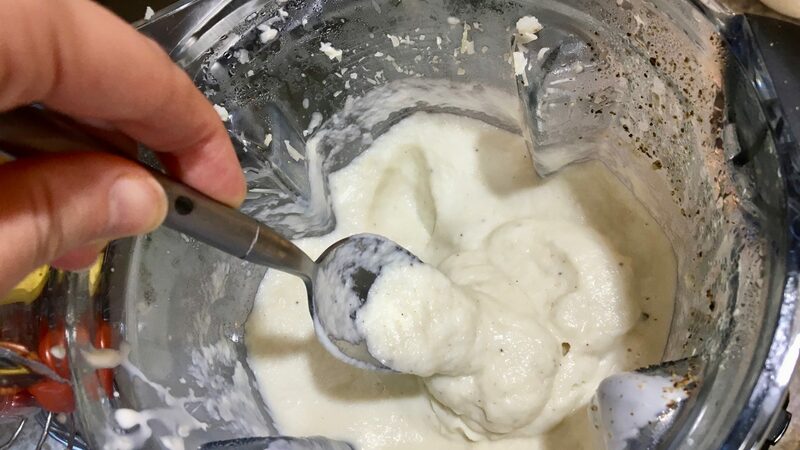 If you’re not following a Keto lifestyle, you can reduce the sour cream and switch out the heavy cream for half-and-half or milk. It’ll still taste great. I’ve done it before when my refrigerator was low. My family likes our puree super smooth and velvety, so I let the blender go for a couple minutes. If you like yours with a little more texture, stop the blender sooner. 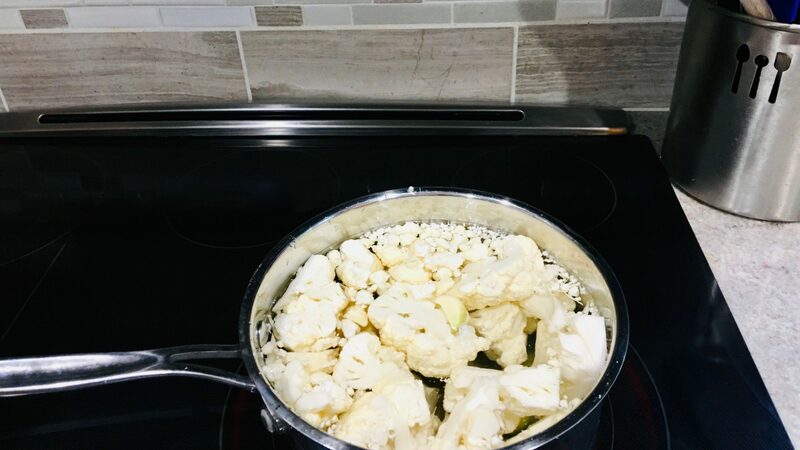 Remove the leaves from the head of cauliflower and cut off the end of the stock. Discard. Cut up the rest of the cauliflower into chunks and place in a medium sized pot. Add garlic and water to cover. Bring the water to a boil. Let the cauliflower boil about 10 minutes until fork tender. Drain the water. Add the drained cauliflower and garlic to your blender. 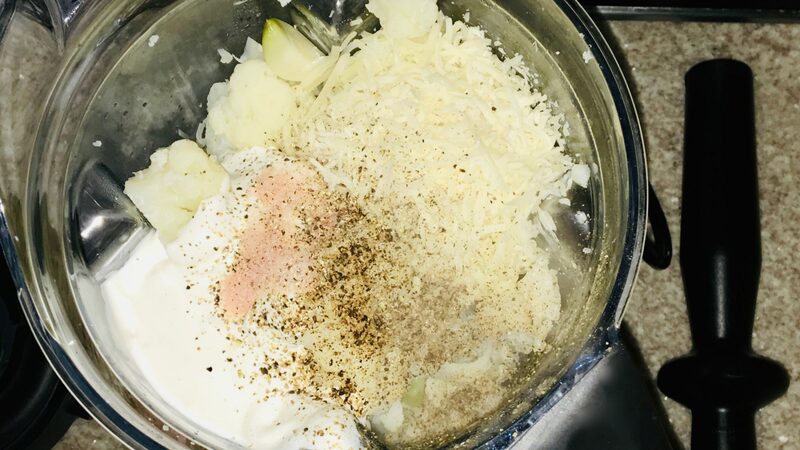 Add sour cream, parmesan, heavy cream, butter, salt and pepper. Puree until desired consistency. Serve and enjoy.